As summer comes to an end and the season of fall begins I wanted to share with you some Fall Safety Tips. I updated this section with some valuable tips on what you can do today to prevent claims as winter approaches. You will find home safety tips, car safety tips and teen driver safety tips. And, since September was Life Insurance Awareness month I included some life insurance tips. As always contact us if you would like more information or have any questions. Let me know what you think of this section. Filed Under: Featured Tagged With: Best life insurance agent, buy life insurance when you are young, cheap life insurance, Fall Car safety tips, Fall home maintenance tips, fall home safety tips, fall safety tips, How does a separation or divorce affect my life insurance, inexpensive life insurance, life insurance awareness month, Spencer Insurance Agency, Spencer Insurance Agency Inc.
We meet with many clients and prospective clients to discuss their life insurance needs. One common thread is the lack of any estate planning. Most people equate estate planning with the wealthy. Yes, the wealthy need estate planning but don’t be fooled, so do the rest of us. What is Estate planning? It can be very simply having an updated will, advanced medical directive and power of attorney. Why do you need estate planning? You have young children and life insurance. You don’t have a will or the will was done before you had any children. You need to update the will so you can update the guardian of your children, decide who will be the trustee of the life insurance proceeds, and make plans for a special needs child among other things. Without an updated will the courts will need to get involved to protect the children. You need an updated will to make sure your wishes are followed in the event of you premature death. You are separated, divorced or remarried. You need to make sure your will is updated to match your current situation. When a couple divorces there are many issues with their children that need to be addressed. Life insurance beneficiaries need to be discussed to protect your children. We am not an attorney or do I give legal advice. We do work with many estate attorneys so if you need a referral to one I can help you out. But, reviewing life insurance policies we see many things that make me cringe like naming minor children beneficiaries, naming a brother or friend who will be your children’s guardian the beneficiary of your life insurance proceeds and trusting caregivers to manage the large insurance proceeds. Caregivers may be great with helping to raise your children but they may not be the best managing money. You need to have these discussions with an estate attorney and you need to meet with us to review your life insurance. Your life insurance agent may not have met with you in a long time and may not even be in the business now. Do you have the proper type and amount of life insurance for your needs now? Are your beneficiaries listed now proper for your situation today? You may still have an outdated beneficiary. Did you update all your life insurance policies including your employer paid life insurance and retirement plan beneficiaries? Contact us today for a life insurance review even if we are not your current life insurance agent. We live for life’s wondrous moments whether it’s a baby’s first step, graduation, or retirement. Life Insurance helps to ensure the life you’ve built for your loved ones won’t come to a halt if something were to happen to you. It’s never too early or too late to consider all the things life insurance can do for your family. Spencer Insurance Agency has many resources to help educate you on solutions to your life insurance needs. Our agency wants to make sure you coordinate your life insurance planning with a financial planner, estate attorney, and us. Many people ask “How Much Life Insurance do I need? I will help have a discussion with you that includes four factors that will give you an answer to that question. Another frequent question I hear is “Should I purchase supplemental Life Insurance offered by my employer? 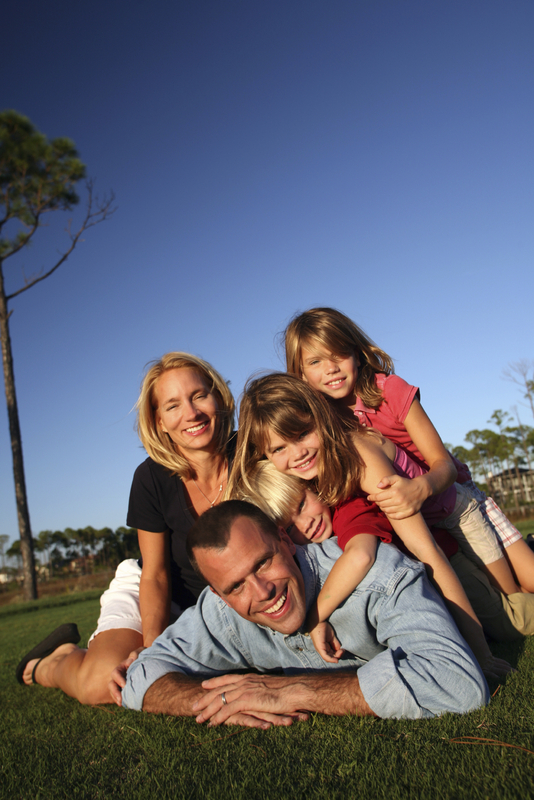 There are pros and cons to purchasing your life insurance in a group plan. Check out this article for the pros and cons. Lastly, DO NOT PROCRASTINATE! A friend of mine, Rachel, told me her story. Read Rachel Story to see how waiting for the right time to buy life insurance can be devastating. If you wait too long you may not be able to buy life insurance. Call us today for a review of your life insurance needs. Even if you have some life insurance call us at 215-885-2200 to make sure it is still performing the way it was set up to perform. Filed Under: Life insurance Tagged With: Best life insurance agent, Best life insurance agent in Montgomery county pa, cash value life insurance, cheap life insurance, cheap life insurance rates, cost of life insurance, get a life quote, how much life insurance do I need, inexpensive life insurance, Life insurance, life insurance awarenss month, life insurance protection, life insurance rates, life insurance uses for long term care expenses, spencer insurance, Spencer Insurance Agency, Spencer Insurance Agency Inc.
As your preferred insurance agency, we take your protection very seriously. If we could we would shield you from all bad things that might happen to you and your family. But since we are only mortals, we have to limit ourselves to just warning you about issues that could affect your happiness and safety. That’s why I’m writing you today. I just looked at the calendar and saw that Valentine’s Day is on the horizon. Like birthdays, anniversaries and Christmas these are opportunities to show your loved one just how much they mean to you. But for those who unintentionally miss these major opportunities to express their love and devotion, they can be dangerous times of the year. Plan now to make it the best Valentine’s Day ever for you and your loved one! Happy Valentines Day from your friends at Spencer Insurance Agency, Inc. Your home is insured for its replacement cost, are you? When we are discussing homeowner’s insurance we talk about the replacement cost of your home. The replacement cost of your home is the amount of money you will need to rebuild your home if it was totally destroyed. You insure it for that amount because you don’t want to lose one of your largest assets, your home. Can you answer this question? What is your Replacement Cost? No, not your home’s replacement cost but YOUR replacement cost. What will it take to replace your income if you die or become disabled? The chance of a house fire is 2 in 100. The chance that you will become disabled is 12 in 200. The chance of you needing assisted living is one in two and the chance that you will die is 100%. Think about that: We all insure our homes for replacement value, but do you insure yourself for your replacement value? You buy medical insurance so your doctor and hospital get paid if you are sick or injured. Do you buy insurance so your family will continue to receive your income if you are sick, injured, or deceased? Your future income is your family’s largest asset. But most often people insure it for just a fraction of its true value or not at all. We can sit down with you and do a simple review of your replacement value. Make sure your family is properly protected. Don’t wait! Don’t ask yourself “How much Life Insurance do I need now? Remember the death rate is still 100 %. It is not a matter of “If” I will die, but “When” I will die! Ask yourself “When I die how will my family survive without my income?” Then call us so we can sit down and see how much life insurance your family needs you to have when you die. Even if you have some life insurance, let us review it with you. We may find out that the beneficiary is not the person you intended or that you can purchase more protection for the price you are paying now. Make this commitment to your family, “I will review my life insurance needs NOW!” Nobody wants to buy life insurance, but most of us want our families to continue to receive our income if we die. Call us today so we can make that happen. Or contact us through our website. What is keeping you from getting Life Insurance? Three in ten American households are uninsured and half say they need more insurance. More than half of Gen X and Y households need more life insurance. One-third of wives own no life insurance at all – despite the fact that 7 in 10 households are dual-income households and nearly 30 percent of wives earn more than their husbands. Why should I review my life insurance policies? You recently married, had a child, bought a house, divorced, downsized or are considering retirement. You have a partner or a key employee in your business. Are you relying on the life insurance that your employer provides? Note: Open enrollment for most employers is happening soon. Contact us now as it can take 6 to 8 weeks for your life insurance to be approved. Compare and apply now before you need to commit to your employer’s plan for another year! You will find the rates change, usually every 5 years, and can become very expensive as you age. Many times we can provide you the same coverage for less than you are spending now or provide more coverage for the same amount you are spending now. Not portable, meaning if you change jobs you may lose your life insurance. What happens if your health has changed and can’t get life insurance or purchasing life insurance on your own is now very expensive? Solution: Call us for a review of your life insurance needs. Today’s economy has demonstrated how precarious a family’s finances can be. Think how tough it will be for your family if they lose your income! Don’t procrastinate; we all think we are invincible. Go to our website and read Rachel’s story. Her story which she was so kind to share with me will demonstrate why you can’t wait. Check out our website for more information about Life Insurance. Do you see life insurance as a bet? “I am betting I will live and the Insurance Company is betting I will die.” I hear this phrase too often! Here is one of my secrets. . . We are all going to die! The question is WHEN. I urge you to get a life insurance review now. Don’t wait until it is too late and your surviving family members are not only grieving the loss of a parent but are also in a financial mess! September is Life Insurance Awareness Month. A couple years ago I asked Rachel to share her story. It is a powerful story. Listen to her words. . .
My name is Rachel and I would really love to share my story with you in hopes that you will see the importance of Life Insurance, even at a time when you still think you are invincible. I was 28 years old and got married in September of 1999. While on our honeymoon in St. Thomas my wisdom teeth became abscessed. I had just switched jobs so I was in between health insurance. You know I was 28, who cares about the 3 month waiting period. I didn’t need COBRA. So I bought some time with over the counter aids. In October I woke up and my neck felt stiff. I rubbed it and found a lump on the right side just below the ear. I went to my family doctor who said that it was a swollen lymph node to fight the inflamed wisdom teeth, but he sent me for a CAT scan just to be safe. So into surgery I went. The next day the doctor called and told me I had Stage 3 cancer. Long and short, I survived, but in the mean time my husband and I had bought a house and then after I recovered decided to start a family. After 3 years we decided to adopt and that is when I found out, at the age of 33, that I was going to have difficulty getting life insurance because of my past medical condition. can get life insurance at an affordable rate, and at the amount that would actually benefit my family. And not be turned down because I was High Risk. my Life and my Daughter (my Angel). But for whatever the outcome may be: BE PREPARED!!!!!! Thank you for listening to my story, God Bless you in your new life, and may you have nothing but happiness and health, and a piece of paper in your filing cabinet to take care of all you acquire and create! Take time now to review your life insurance needs. Give us a call today at 215-885-2200 or visit our website for more information. Prepare now so yur family will be protected when you die. Please share with us any of your stories. Put your story in the comment section so others may benefit from your experiences.